Did you miss this year’s Denver Gold Forum? INN spoke with over a dozen experts at the show — listen now! Held from September 23 to 26 in Colorado City, the Denver Gold Forum brought together a slew of thought leaders and precious metals-focused companies. The Investing News Network was on site covering the show, watching presentations and speaking with industry participants. In total, we spoke with over a dozen attendees who shared insight on diverse topics, including the gold price, M&A activity and peak gold. Scroll on to listen to the full set of interviews we completed at the conference. You can also click to see our pictorial overviews of day one and day two of the show. Jeffrey Christian, managing partner at CPM Group, shares his outlook for the gold price moving forward, including when he thinks we could see the yellow metal hit a new record high. 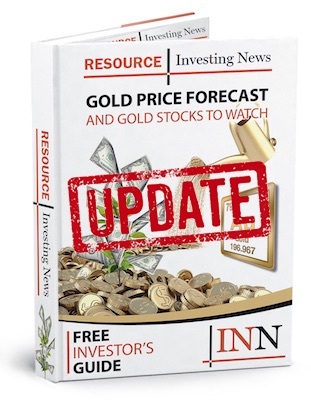 “Right now I think there’s some good signs that the market is turning, particularly for gold stocks,” says Adrian Day of Adrian Day Asset Management in this interview. Charles Cooper: Is it Time to Stop Investing in Major Gold Miners? According to Charles Cooper of Metals Focus, major gold miners are losing market share to junior and intermediate producers, and the trend doesn’t look likely to stop. What does that mean for investors? Gabelli Gold Fund analyst Chris Mancini shares his thoughts on where gold is headed in the final months of 2018. He also explains why his judgment is still out on the deal between Barrick Gold (TSX:ABX,NYSE:ABX) and Randgold Resources (LSE:RRL). Terry Heymann: Can Gold Make Your Portfolio Greener? The World Gold Council’s Terry Heymann explains where gold stands in the fight against climate change. Paul Hissey of RBC Capital Markets outlines the landscape down under, highlighting the importance of optionality when looking at Australian mining companies. “We’re closer to the bottom of the market” than to the top, says David Harquail, which means that Franco-Nevada (TSX:FNV,NYSE:FNV) is in the process of deploying capital. “We think the best time to buy things is when you’re at the low ebb of the cycle,” he explained. John McCluskey of Alamos Gold (TSX:AGI,NYSE:AGI) says that unlike most his company has been able to push forward with exploration and M&A over the last several years. George Salamis, president and CEO of Integra Resources (TSXV:ITR), shares the company’s latest news and explains why Idaho is reemerging as a noteworthy mining jurisdiction. Salamis describes Integra’s experience in Idaho so far as “phenomenal,” with drill permits coming quickly and a high level of government support. “We’re seeing a lot more companies come in and start investing in Idaho as well, a lot more junior activity out there in Idaho,” he said. Smallwood, who runs Wheaton Precious Metals (TSX:WPM,NYSE:WPM), says industrial demand for silver is “excellent,” while in terms of supply we’ve already seen peak production. Peter Megaw of MAG Silver (TSX:MAG,NYSEAMERICAN:MAG) discusses the silver price and speaks about progress at the Juanicipio property, where his company is working with Fresnillo (LSE:FRES). Both gold and silver prices have struggled in 2018, but Great Panther Silver‘s (TSX:GPR,NYSEMKT:GPL) Jim Bannantine believes the downtrend is not here to stay. “I get asked a lot about silver and gold, and of course we all like higher prices,” says Jorge Ganoza of Fortuna Silver Mines (TSX:FVI,NYSE:FSM). Mark Selby, RNC Minerals: This Company Made a Once-in-a-Lifetime Gold Discovery — What’s Next? Mark Selby of RNC Minerals (TSX:RNX) shares what’s next at the Beta Hunt mine in Australia, where his company recently made a 24,000-ounce gold discovery.